Portable generators, while they are not a necessity, they are great to have around. Their uses are limitless. When we think about using a generator in Ohio it is almost always when there is an emergency power outage. Or when our circumstances call for the dire need of a generator could mean life or death for us! Perhaps I am painting a grim picture, but power, for many of us equals life. While camping and other outdoor adventures are supposed to connect us to nature, many of us are unable to bare the outdoors without the comforts that electricity affords. Portable generators, while they are not a necessity, they are great to have around. Their uses are limitless. Your portable generator is responsive. 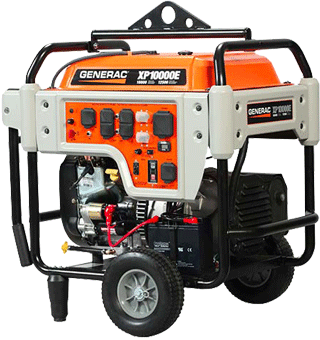 We offer a wide variety of portable generators that are easy to use and provide exceptional value. The iQ2000 uses a different type of alternator than standard generators. A digital inverter module converts the raw power produced from DC to AC power. Engine speed varies depending on electrical demand — which significantly reduces noise levels. The run-time remaining display shows how long before you need to refuel — at a glance. No more guesswork or running out when you least expect it. The exclusive Powerbar™ monitors and instantly displays the wattage you’re producing at the moment. So you’ll always know how much capacity you have. Generac’s XD Series diesel powered portable generator featuring True Power™ Technology, provides less than 6% total harmonic distortion for clean, smooth operation of sensitive electronics, tools and appliances; ideal for jobsites and agricultural applications. 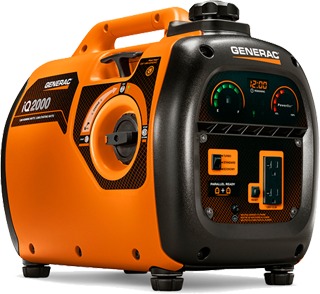 Generac RS Series 7000E Portable Generator rapid Start portable generators with PowerDial, provides back up power with the turn of a dial. The PowerDial streamlines the start-up process by putting all the controls on one convenient dial, so no more separate switches for turning on the engine, opening the fuel valve, or to adjust the choke. PowerDial™ integrates the start, run and stop functions into one simple-to-use dial, conveniently located for quicker startup and shut-down, eliminating the search for separate controls in an emergency. ‍Generac's 420cc OHV engine with splash lubrication provides a long engine life. ‍Low-oil shutdown automatically safeguards engine from damage. ‍Hour Meter tracks maintenance intervals. 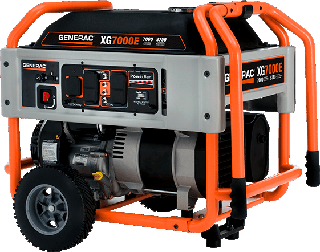 Generac's XG Series portable generators provide all the benefits you've come to expect from a portable generator, and just a little bit more. It's the premium portable generator solution for home use. Easily monitor the generator power you're using. 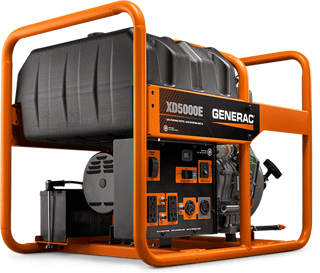 Extend running times and make refueling easier on your XG Series portable generator. When not being used, all XG Series outlets have this added protection from the environment and rugged working conditions. Helping to make your portable power that much more so, these wheels will let you take your XG Series portable generator across any terrain. Track the usage of your XG Series portable generator, and monitor maintenance cycles. 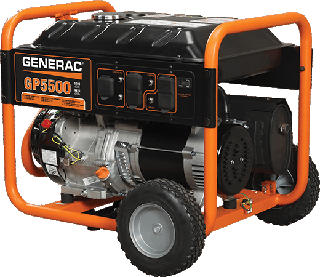 Your XG Series portable generator’s Generac OHVI engine is protected in case oil pressure runs low. The engine will shut down automatically, preventing potential damage. The cradle on the XG Series has been designed to protect your generator, even under the roughest conditions. XC Professional Series Portable Generators are engineered specifically for contractors and construction sites. 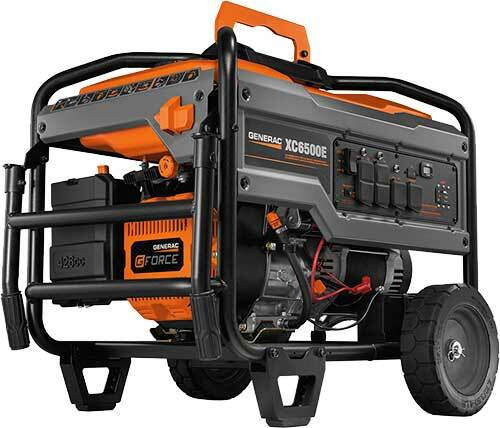 Featuring Generac’s G-Force engine - the only pressure-lubed engine designed exclusively for generator use, providing reliable and durable best-in-class power on any job-site. 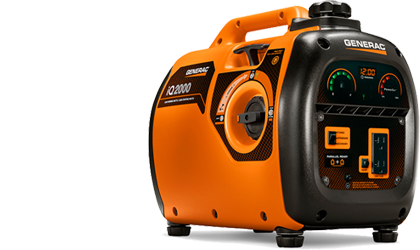 Generac XP SERIES 10000E portable generator, one of the largest portable generators available, the rugged, professional grade XP10000E offers premium features that make it ideal for job sites and day long events. ‍Full panel GFCI protection is OSHA and NEC 2011 compliant. ‍Idle control conserves fuel and reduces noise.Integrated lifting eye allows for easy transport and security on the job site. ‍Electric start with battery included. ‍Generac’s OHVI™ engine is the only engine designed specifically for generator use, providing the reliability needed to run for hours on the job site, and days or even weeks during an outage. Durable construction with hardened 1.25" steel tube cradle and cast metal corners minimizes damage from rough handling. ‍TruePower™ technology provides clean, smooth operation of sensitive electronics, tools, and appliances. ‍Low oil pressure shutdown protects engine from damage. ‍Covered outlets for more protection from the environment. ‍Locking, folding handles and never-flat wheels are included. ‍External battery charge jack for added convenience. Today’s portable generators have been essential as emergency backup for residential homeowners and for commercial businesses in Cleveland, Ohio. The catastrophic storms that have devastated coastal towns have left many residences without power and stuck with no way to heat their homes while waiting for emergency and rescue crews to reach them. However, residences and businesses that have a portable generator piggy back their main electrical supply never have to worry about being placed in that situation again. Current generators vary in wattage and can generate enough power to run your refrigerator, televisions, a/c units and more. Businesses, hospitals, universities and government agencies and local cities also have seen the benefits of using portable generators in Cleveland Ohio. Realizing hurricanes, tornadoes, floods, terrorists’ attacks and other unforeseen circumstances can disrupt power supply. Having a backup source of power supply is vital for these institutions and agencies to continue providing services to the many citizens and customers that they service. The use of portable generators in Cleveland, Ohio, will help to keep the workforce engaged and operating at full efficiency ensuring the safety and services will continue uninterrupted. On job-sites, many construction workers use power tools. Unfortunately, the job-site may not be well equipped or connected to supply enough amps to operate the powerful tools needed to complete the work onsite. Providing portable generators that range in amp output will deliver enough power to operate multiple tools simultaneously. How about for those wonderful, family vacations. Having a portable generator is like taking the comforts of home with you on vacation. Whether you are camping in a tent or cabin, or Rving a portable generator allows you to power up your television, radio, charge batteries, electronic devices, run small freezers and power lights. 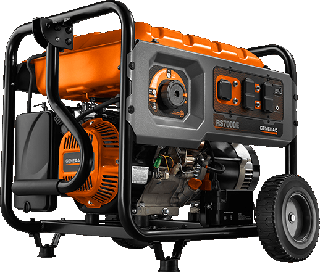 So if you are thinking of investing in a portable generator for whatever reason and are not certain where to start your search, give Ohio Generator Experts a call. 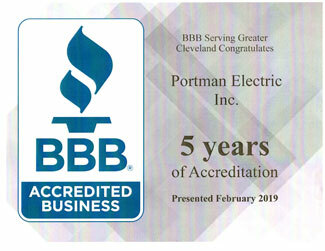 We are Ohio’s #1 full service generator and electrical contractor. Our qualified technicians and journeyman our knowledgeable in residential, commercial and industrial applications and are ready to provide quality service at affordable rates.